You are here: Home » Finally, the affiliate program is here! It was worth the wait. Fans of Beyond Graduation rejoice. Fans of all things sport-related rejoice … harder! As you blog, facebook, tweet, etc. 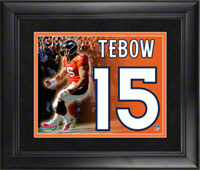 about your love of football, Tebow, your local middle school football team, NASCAR, etc., you can feature items from Beyond Graduation or links to the online shop and get a percentage of sales when your words inspire sales. Your friends love it when you share your insights after the big game or when you lay down your predictions for the weekend victors. You can supplement your insight or Monday morning quarter-backing with items from Beyond Graduation. It dresses up your posts … obviously … but also pads your pocket. When you friends are so fired up about your love of the game that they need to wear that t-shirt, sport that hat or display that ever-so-fabulous license plate holder proclaiming their allegiance, you get a percentage of sales. You help yourself (who couldn’t use a few extra bucks), help your friends (look it as a style consultation) and it is just kind of fun. Did you know that your team has an ornament? 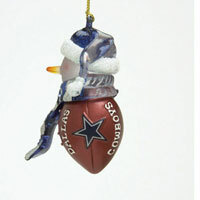 Did you know there is sports-related holiday decor? Did you know that there were that many hoodies available in the universe? Take the Beyond Graduation challenge to see the amazing product depth you’ll get from this affiliate program. Go to the site and type in your favorite team, your favorite color or your favorite city. Search for women’s, children’s or infant items. Check out the items in ‘man cave’ … yup search ‘man cave‘ and be amazed. Okay … so you want the DETAILS. That’s easy … click here and read ’em. Couldn’t be easier. All of these items … all of this stuff which will tempt your friends, relations and followers can help you out. You may want to check out the options when you search ‘wallet‘.